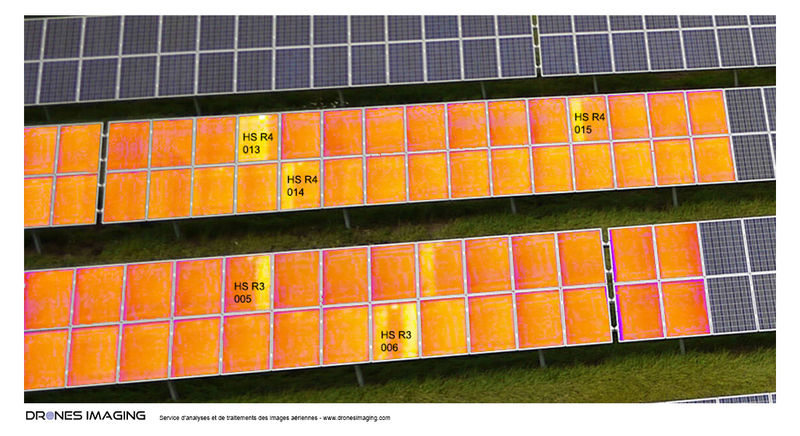 New thermal infrared image processing service dedicated to the photovoltaic industry, building and precision farming. Drones Imagingexpands its activity and launches a new service dedicated to infrared data processing with the commercialization of radiometric orthomosaics (whose temperature is measurable in every pixel) and 3D models made from aerial thermal videos (flir, optris or others). Use case on our page.